On the Homes & Gardens website lots of garden ideas and advice, plenty of gardening articles for you to read and so much more. There are also lots of free to enter competitions and access to some of the magazine they publish each month as well as a free newsletter which can sign up for. With this very useful piece of software, which is given away absolutely free by Google, you can create 3D garden design models. The software is very easy to use and in no time you can create images, which you can print off, or even create a movie from your 3D garden design. The software is free and will run on both PCs and MACs. If you are looking for some freebies for your home and garden then you should go to the MySavings website here where they have lots of free samples for use in your home and garden. Sign up for free and you will be sent an email when new samples are added. Totally Free Plants And . Freeplant Network Worldwide (FNW) is a non-profit organization, which aims to distribute Flower Plants, Seeds, Bulbs and Fresh Flower Bouquets - Globally for FREE. 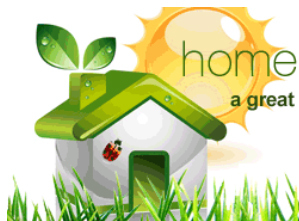 This very useful directory is packed full of sites with useful information on home and gardening. It also offers a free listing to any sites within the UK. On this website you can watch free online videos that will teach you almost anything to do with your home and garden. You can also read thousands of free articles written by experts to assist you with your project. The course aimed for all gardeners from beginner to the more experienced. To apply and complete the course you do not need any plant or gardening knowledge, landscape and-or drawing skills. It is good to teach your kids garden care at an early young age. These websites are giving away two free packets of seeds so that your kids would have their own plants to take care of. usually it is just a case of simply writing them a request and cover any postage costs and you'll get your free garden seeds right away!